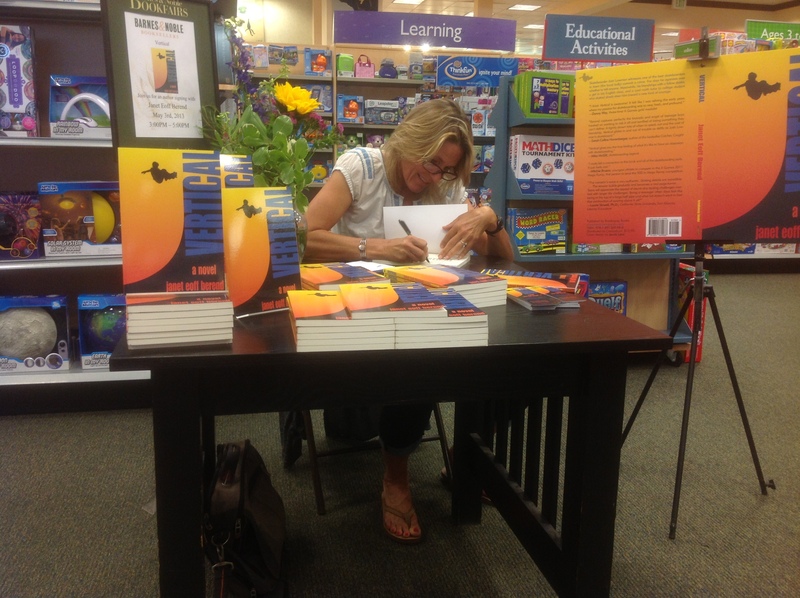 Janet signing Vertical at Barnes & Noble. Janet has presented at numerous writing workshops and classes–for both kids and adults. She loves to share her thoughts on teaching kids to read and love literature, the writing process and more. Contact Janet to arrange a visit. 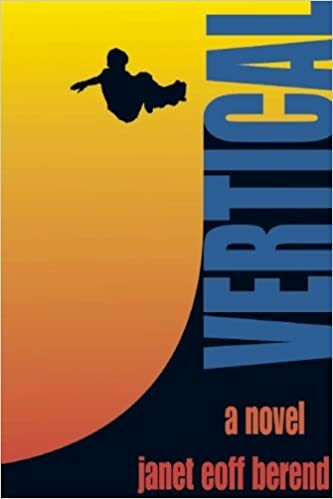 How I Wrote Vertical: A Skateboarding Book With Boy Appeal. 1775 Dove Ln Carlsbad, CA 92011, Saturday at at 11 am. Want to attend? See flyer for details. 1040 N. El Camino Real, Encinitas CA 92024,Friday, May 3, 2013, 3-6 p.m. 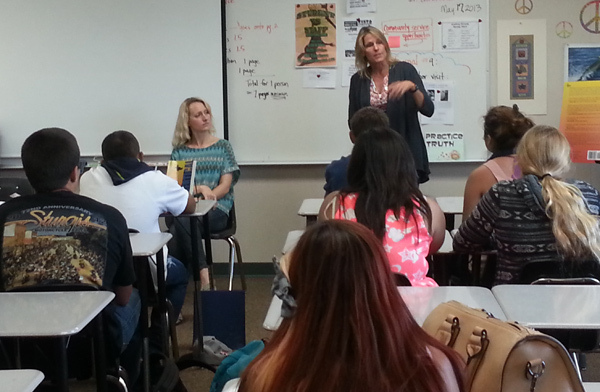 Working with students at Mission Hills High School.